Google today asked customers who use the Gmail for iOS app to test a new feature that will allow non-Google accounts to be added to and checked from the official Gmail for iOS app. 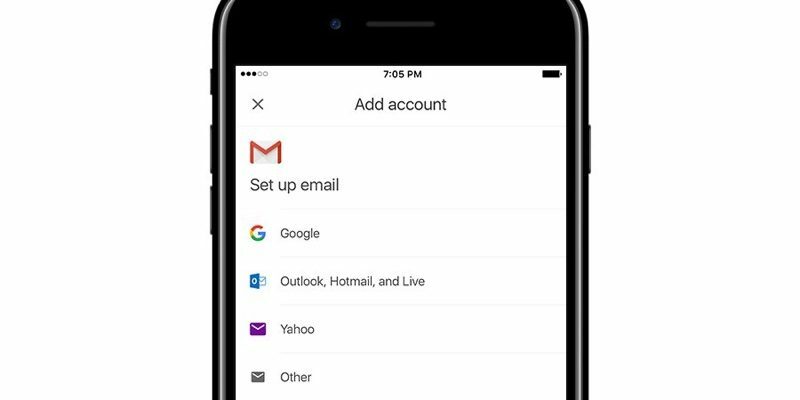 Right now, the Gmail app for iOS devices only supports Gmail accounts, but the addition of support for third-party email accounts would put the app on par with other popular iOS apps like Spark, Airmail, Alto, Edison Mail, and other options. Gmail for Android already supports third-party email accounts. Google is allowing Gmail users to sign up to test the feature through a beta application. Requirements include using the Gmail for iOS app, having a non-Google email account, and iOS 10 or later. Customers are asked to enter their name, Gmail address, iOS device, and provider of the non-Google email account to be used in the beta. There's no word yet on when the feature might launch following the beta test. This will give google a chance to index all your email! Exactly. Means they'll be able to index and make money not just from Gmail, but from AOL, Hotmail, Outlook, and anyone else they don't currently have access to. People will sell their privacy for convenience as they do with everything from Google. Surprised they never did this sooner. Figured they be more than happy to have all your emails flow through them. Or even a peek at them. With Google, people pretty much give their privacy away. Sadly, no direct support for MS Exchange or Office365 eMail. Deal breaker here.